I was going to write a piece about being positive. I had a nice conversation on the weekend about the benefits of having a positive outlook and not focusing on the negative. I have been trying to do this for a while. It is difficult but I do feel forcing oneself to be positive is a worthy endeavor. So with my head full of ideas, I sit down to write but then I see this on the CBC News. A fight over a parking spot in a Costco. There goes the sheen of good will. The positive ideas in my head flee for cover – never to return. What is wrong with people. A parking spot. In a Costco parking lot. There are many more spots. I’ll wager that these people who are fighting are the kinds of people that will not venture downtown because of the “problems with parking.” This event happened in a suburb just to the west of Toronto. It is hard to be positive when confronted with this type of insanity. But I’ll persevere – put on some cool music and smile. 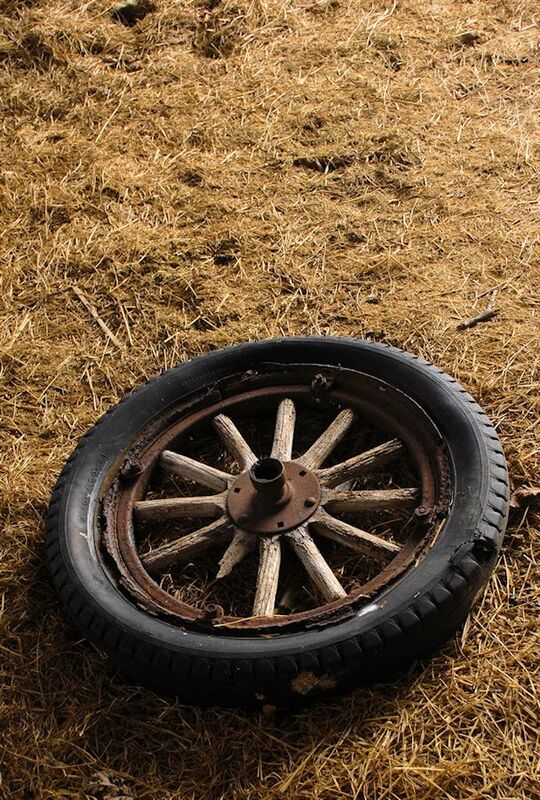 It just goes without saying that there will be an old wheel lying in an old barn. My friend’s bard did not disappoint. Just the first sounds of this album made my heart flutter. 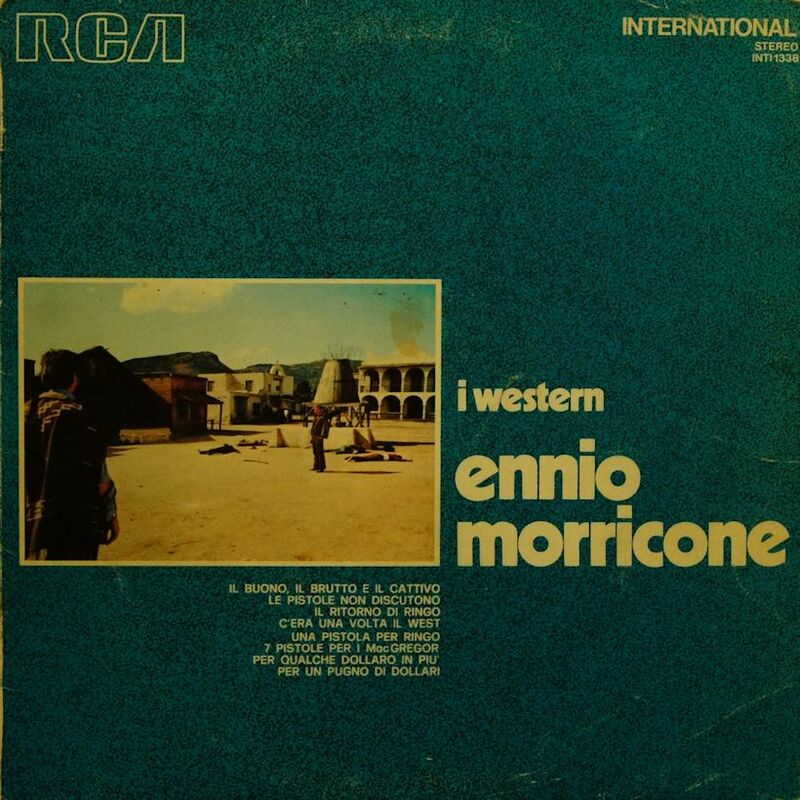 The theme from “The Good, The Bad, and the Ugly.” Or one of the other classic spaghetti westerns that made Sergio Leon, the film director, and Ennio Morricone, the music composer, household names the world over. An album full of this. I’m going to play this album all the time… I thought. Then I listened to it. There are great moments here but these are interspersed with some fairly standard, quite poor frankly, songs. Kinda like Gilbert and Sullivan and a bad day. I think I picked this album up in Switzerland way back when and for some reason never listened to it. The album I have is an Italian pressing so the liner notes are all in Italian. There are movie posters on the back but I do not recognize most of the movies. But that’s OK. The good music really balances out the stuff I don’t quite like. This is a really cool album. I knew this wine was trouble when I bought it. But this isn’t the same trepidation I feel with some other wines – which may surprise me by being OK.
Every fibre in my being knew that this wine was not going to many redeeming qualities. First off – Chocolate Raspberry Truffle is not a wine varietal – it is a box of chocolate’s you bring when visiting your aunt. Secondly – This should not be called a wine. Yes, it is made with domestic and imported grapes. But there are a whole bunch of other ingredients, like water and sugar. Third – This beverage is bad. The first sip is sickly sweet – with a bad aftertaste. So is the second … so is the third. Do I taste chocolate, raspberry or truffle. Well, it’s raspberry like the chemical laced flavour you get in the cheap raspberry ice cream. Bleh. This stuff is more than bleh. It is a bad, low alcohol wine-based cooler like beverage. It should not be in the wine section. For shame. Oh. I rarely spill out wine that I loth. This isn’t wine and is a terrible drink. I never even finished my glass before chucking this evil concoction down the loo. I guess the good news is that the climbing season started on Mount Everest after two years of being shut down due to multiple deaths from avalanches and earthquakes. The bad news … four people have died this year. And two are missing. I can kind of understand the allure of climbing to the top of Everest, but when you look at the pictures of the long lines and crowds near the summit it really begs the question why go to all that trouble just to be stuck in a cue. Is it the allure of cheating death, pushing oneself to an extreme limit? I can also understand that – but why do it with a whole bunch of strangers that cannot help you if you get in trouble because that might cause them to perish as well. Unfortunately, Mount Everest has become a cliché where the very wealthy can go and get their kicks. Expeditions to the mountain start at around $40,000 US according to some websites I visited. And that is just for the guiding up the mountain. Nepal, where most of the tourists start their journey, needs the tourist money so they cannot shut down this tourist destination. They cannot ban climbing expeditions. So the corpses and garbage will keep on piling up near the summit of Everest as the well heeled seek thrills and danger. 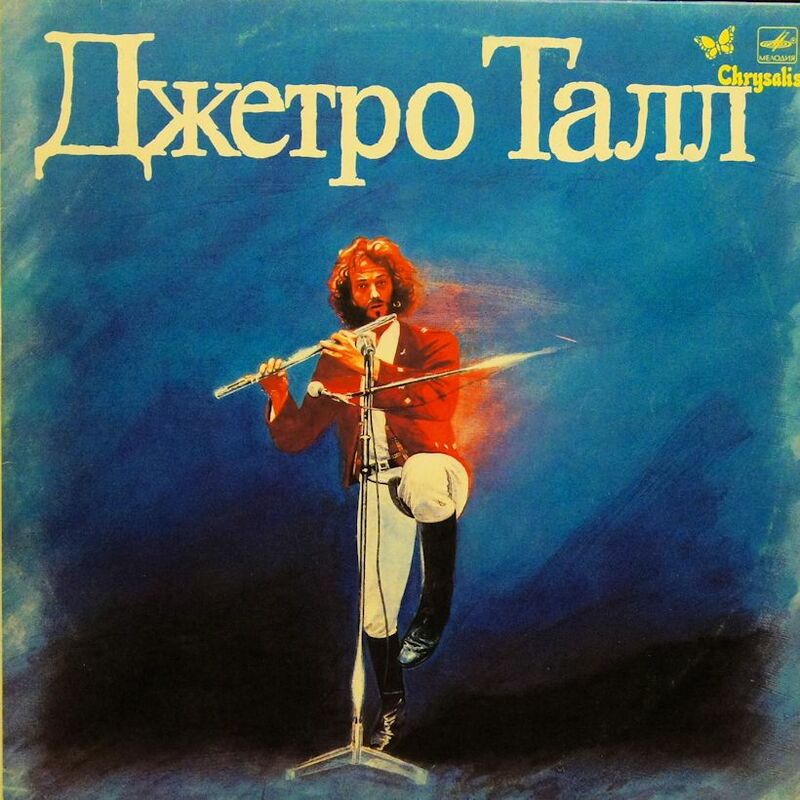 I picked this album up in Ukraine in 1989. I bought a few albums there – whatever was available. I’m not sure if this was a legal licensed copy or a pure rip-off, Things were hazy back then, the Soviet Empire was fading and things were a little crazy. It states that it is manufactured under licence but so does every pirated cassette that I bought as well. I still have a whole box of these lying around. I should get around to listening to them as well. There was very little vinyl to be had so I bought what I could. I like Jethro Tull and this is not a bad “Best Of” album. I checked up on the internet and this is just a repressing of their Original Masters disk that was released in 1985.It has Aqualung, Locomotive Breath, Living in the Past, Thick as a Brick and other hits covering their career from 1969 to 1977. This is a nice curiosity in my record collection.